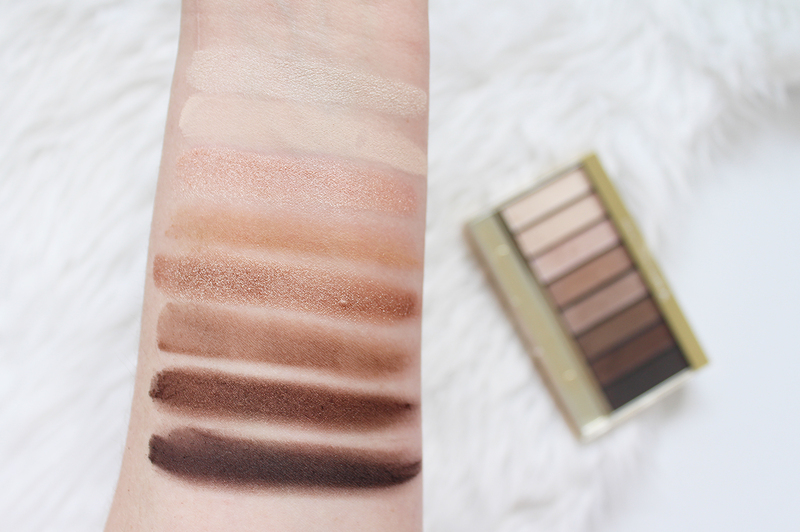 Back in December, I shared a review and swatches on this same palette but in 02 Golden Nudes (see it here), and I promised that a review of the Cappuccino Nudes* palette was coming. Skip forward a couple of months and here it is... honestly, time has been flying too quickly! These palettes were launched at the end of last year and I rushed out a bought the Golden Nudes selection as soon as I could and instantly feel in love with it. 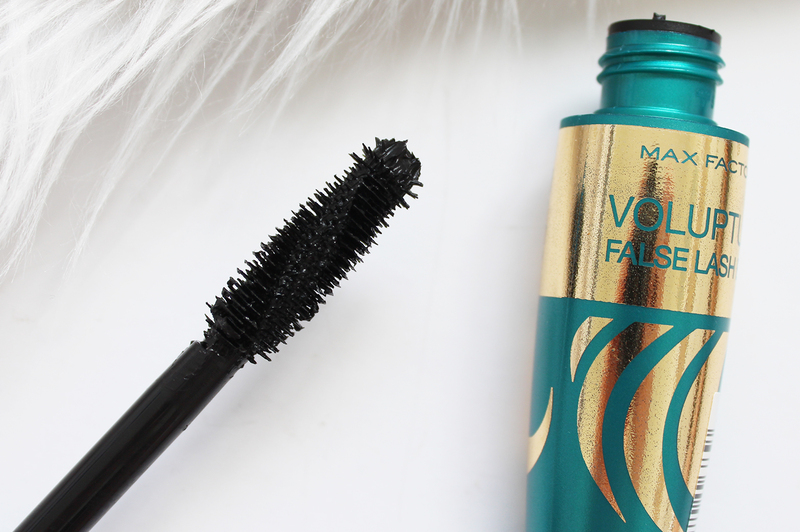 I was so happy when Max Factor sent over this one as well, plus their new Voluptuous Mascara*, so here are my thoughts on both. 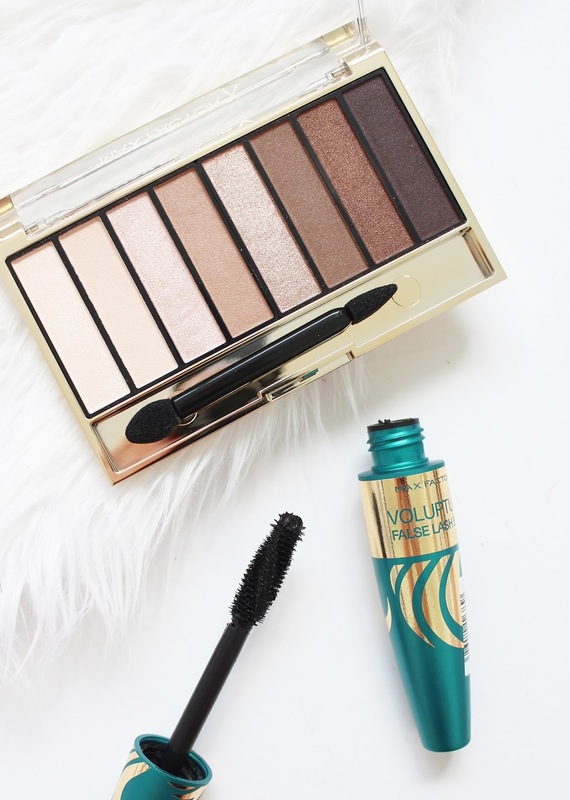 I haven't ever used a Max Factor mascara before, but have used Covergirl and they are pretty similar! This new mascara promises 5x more volume and instantly lifted lashes, I have to say it didn't give me the biggest lashes in the world but it did certainly give volume and length, just not to the degree it claims. It has a really large helix shape brush that helps to grab onto the lashes and coat them evenly; it's a bit tough to get the shorter lashes but for the bulk of the lashes it lifts and coats them well without clumping. I don't get any transfer with this mascara, nor does it flake away. All in all, it's good but not mind blowing for me at least. If you saw my review of the other palette, you can probably guess what I will say about this one. I friggen love it. The shade range in the Cappuccino Nudes is a little softer and pinker which I personally love and they have the same incredible pigmentation and colour pay off on the lids. There are 3 matte-ish shades, and five shimmer/metallic shades which blend so well together. There are so many options with the shades and you can get a light, neutral eye or darken things up quite dramatically. As with the other one, there is some fallout, but besides that, it is a winner. 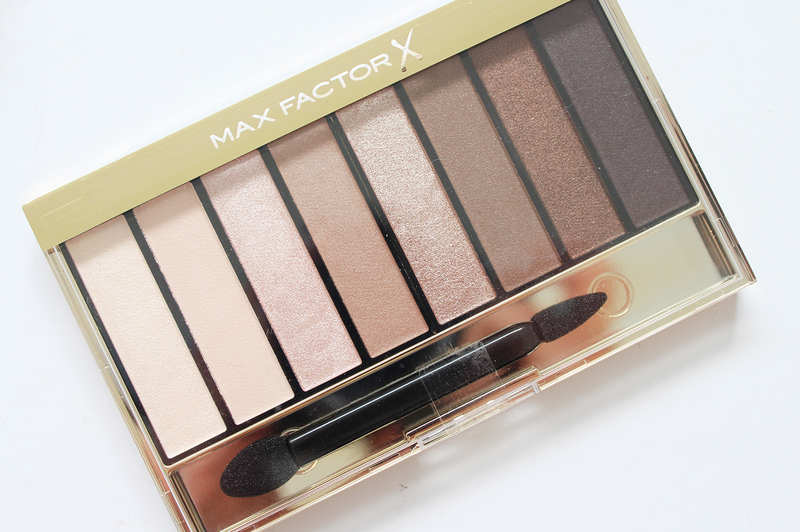 These new products can be brought from Farmers and other Max Factor stockists. These palettes are not to be missed! Have you tried the new Masterpiece Palettes yet?